Did it look like the photo/drawing on the pattern envelope once you were done sewing with it? Yes, kind of. Were the instructions easy to follow? I didn't use them because its a pretty simple pattern. What did you particularly like or dislike about the pattern? 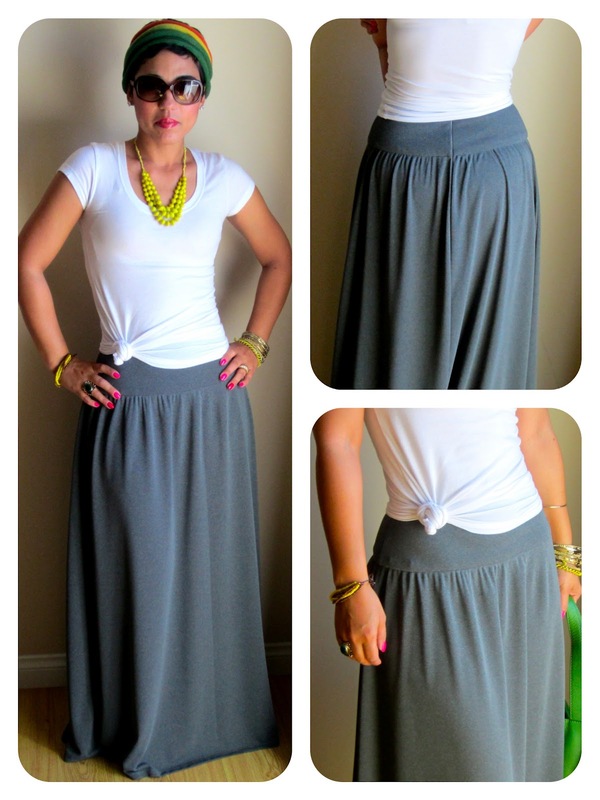 I like the waist bands and of course the fact that it is a maxi. Pattern alterations or any design changes you made: Well, the pattern had TWO panels for front and back which to me meant that there was going to be A LOT of gathering and I didn't want my maxi to be full so I only used one panel cut on the fold for the front and the same for the back, this allowed me to softly gather and avoid any bulk from all that damn fabric they wanted me to use. Would you sew it again? 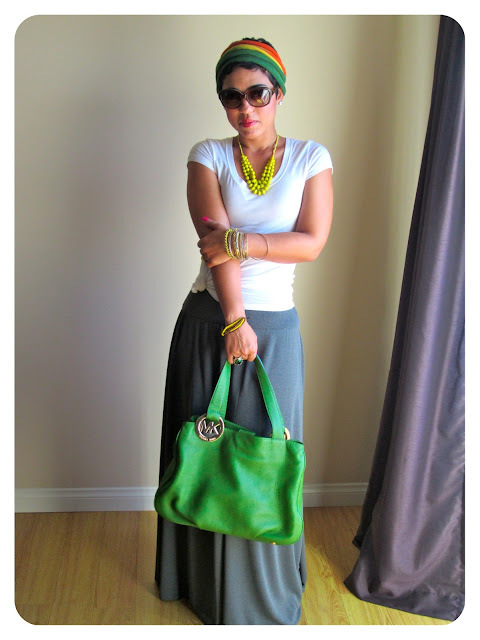 I am sure I will because maxi skirts are a spring staple for me, they are easy and comfy. Too cute! I'll have to try this one myself! Loving it...girl you just keep showing off :)!!!! Love this skirt, I like how you styled it! I really need to get back into sewing, I could have a closet over flowing of beautiful unique clothes!! CUTE! 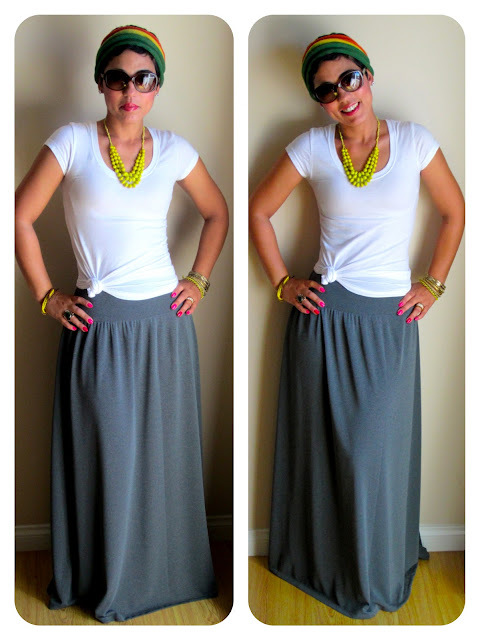 I love maxi skirts and dresses. Great thinking on eliminating the fullness. I've enjoyed everything you've been making lately - always so much inspiration. It looks really good! I love maxi skirts because they are so modest. I'll have to try that pattern out. Thanks for the tips too. 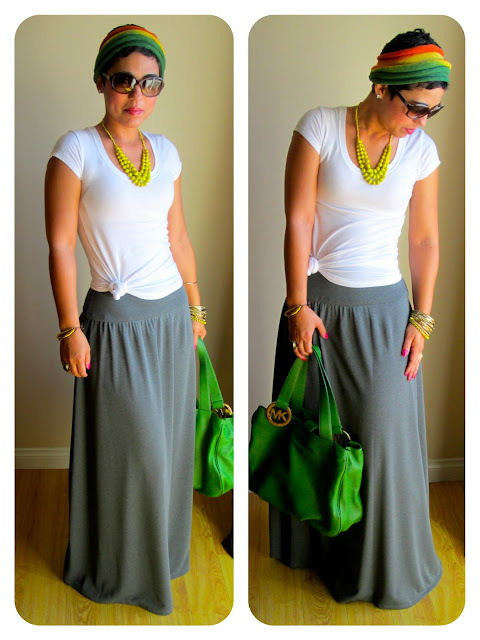 gorgeous love the skirt and the entire look is pretty! Love it! Now I want to make one too lol. Love the look. Great idea on cutting out the fullness. 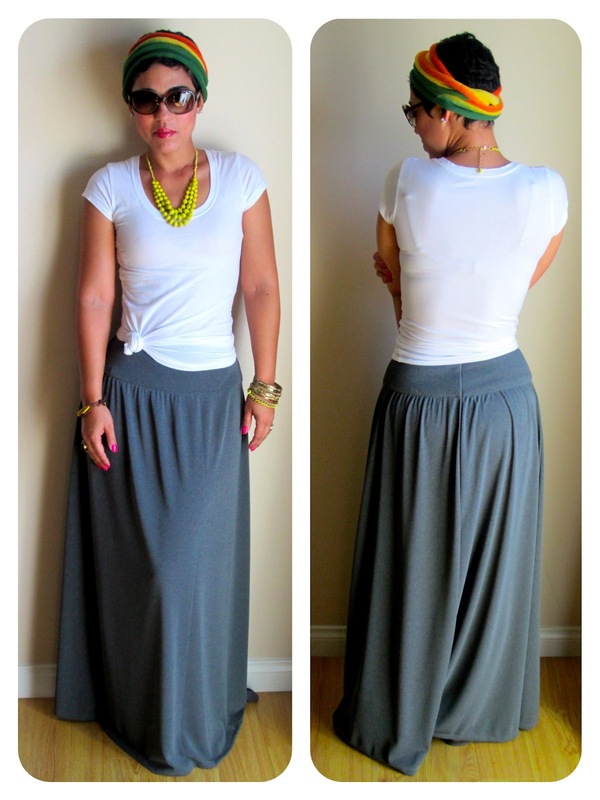 I love your version of this skirt and would love to make it. I am a beginner and don't quite understand how you did this. Do you mean that you took either the front or back piece, placed one edge of it on the fold and cut it out so that you only had one back seam? Thanks for any help you can give me! nice, r u going to do a video tutorial? nice, will you do video tutorial?